Great Divide Brewing Co. is releasing the 2018 edition of Hop Disciples in December. 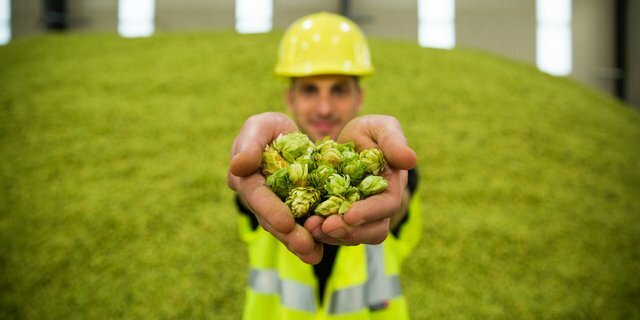 Every year, Hop Disciples, the brewery’s Rotating Hop Project series, takes a bright, clean IPA and puts a different hop variety at the forefront of the sensory experience. The 2018 release, which is part of the brewery’s Tank Farm series, introduces Ekuanot, a newer American varietal that features strong tropical fruit flavor with aromas of citrus and herbs. A simple malt bill allows the Ekuanot to shine, bringing forth notes of papaya, honeydew melon and tangerines, while a subtle earthy undertone lingers. Hop Disciples may look tough on the outside, but with its golden hue and approachable 6.2 percent ABV, this beer is a lover not a fighter. “With a crisp, dry finish and the hop character front and center, Hop Disciples is an easy-drinking delight. It is best enjoyed with friends after a day well spent,” said Jacobs. The 2018 edition of Hop Disciples will be available starting mid-December 2017 through April 2018 in six-pack cans and on draft across the country.